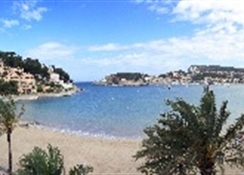 Los Geranios is located in a priveleged part of the Puerto de Soller Bay on the promendade of the beach, directly in front of the sea, far away from any traffic and stress. The hotel offers an international recep area with loung to relax, a beauty and wellness area with sauna, an elevator specially adapted for disabled persons. 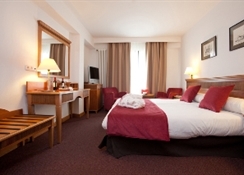 The hotel has got air-conditioning and central heating in all areas. All of the rooms are non-smoking. This privileged part of the island offers every guest a great variation of activities. The mountain are excellent for any type of trekking or hiking and will provide views over the whole island. Our comfortable and individually managed hotel, Los Geranios, is located in a privileged part of the Puerto de Soller Bay; on the promenade of the beach, directly in front of the sea, far away from any traffic and stress. You being our guest are in the center of our daily work. 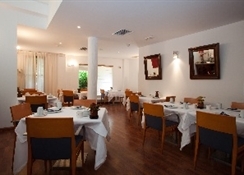 The entire team of the Hotel Los Geranios and the Restaurant La Brasserie are pleased to make your stay with us as comfortable as possible. Dining options at this beach apartment include a restaurant and a bar/lounge. Guests are served a complimentary breakfast. Wireless Internet access is complimentary in public areas. The staff can provide tour/ticket assistance and tour assistance. Additional amenities include a sauna, a library, and multilingual staff. For a surcharge, guests have access to a roundtrip airport shuttle (available on request). This is a smoke-free property. Rooms feature furnished balconies with beach or sea views. The 23 air-conditioned guestrooms at Hotel Los Geranios include minibars and safes. Pillow menus are available. Guests can use the in-room complimentary wireless high-speed Internet access. 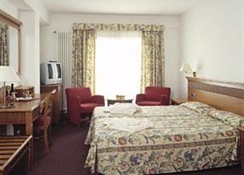 Rooms are equipped with flat-screen TVs with satellite channels. All accommodations provide desks and direct-dial phones. Bathrooms offer shower/tub combinations with handheld showerheads, bathrobes, hair dryers, and slippers. Additional amenities include windows that open and complimentary toiletries. In addition, amenities available on request include irons/ironing boards, extra towels/bedding, and wake-up calls. Housekeeping is offered daily. On the beach in Soller (Port de Soller), Hotel Los Geranios is close to Port de Soller Lighthouse, Puig Mayor, and Balearic Museum of Natural Sciences. 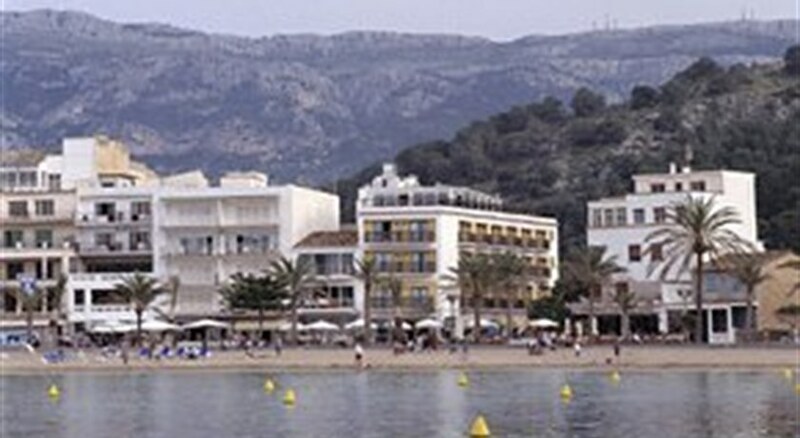 Also nearby are Soller Botanic Garden and Can Prunera Museum of Modernism.